1.} First and foremost, learn about and pay attention to: your subject matter (is it interesting? ), your composition (Are you framing the shot well? Is it at an angle that says something?) and your background. What’s in the background is so so important. Take this cat for instance. Nothing interesting about a cat. But my eye caught the rustic location and vivid colours and I instantly switched from shooting my kids to taking one photo of this cat in passing. 2. } When it comes to colours, like I said before, it only has a little bit to do with your camera and a whole lot to do with what you do with the image afterwards. The cat image above was boring and flat before I took 5 minutes to fiddle with it in Lightroom. When it comes to colour, there is only one rule you need to remember about the actual time of capture with the camera: SHOOT IN RAW. Why? Because with RAW, you can have access to every last atom of data collected by your camera’s sensor when you open it up in your computer. There’s a workflow to editing RAW files which you can learn in one reading session online. After that, you’re free to adjust your image to be exactly what you want it to be. For example, if you accidentally had your white balance set to sunny and now you’re in cloudy weather, your images will turn out very blue and cold. But if you shot them in RAW, you can change that in the computer. 3.} Find a group on Flickr or a website which shows you lots of photography before and afters. You can see how even the best photographers don’t always take images with wow factor at first and they often come with hints, tips and recipes for how they were edited. 4.} Start learning some basic editing techniques. Subscribe here at dPS to stay updated on the tutorials. I’ve been known to spill the beans that I learned everything I know about photography from dPS. Seriously. I also have a blog for photographers who are on the early end of their interest in photography. Learn what the sliders in Lightroom do (what is contrast, highlights, shadow?) Play with presets in Lightroom, actions in Photoshop and texture layers! And if you think Photoshop is out of your league, think again. Photoshop Elements costs under £100. 5.} For greater dimension in your photos (to get rid of the flat feeling), I like to edit the photo’s foreground and background independently. I do this in PS by selecting the foreground elements with the quick selection tool or lasso and making it a new layer. I then enhance the background and foreground independently from each other. In short, my answer to the question of how to capture images which are exciting and vibrant is this: you don’t take them, you make them! Jason Collin I hear you, but I looked at the photos on your blog (link) and to be honest, they just look like HDR with vbery visible halos around the edges. I think the point of this article was to move away from tone mapping being the way to make your images appear to pop (read look like over edited HDR which seems to be taking a lot of flak lately), and show how a simple image can have areas that pop out at you and backgrounds that don't detract from the focal point. Now I am the first to agree that this is no way to "fix" a badly composed photo, but rather to show people that a well composed but "flat" looking photo can be transformed into something that they were really hoping for when they hit the good ol shutter release. You lost me after I read this line: "You don’t take pictures that pop, you make pictures that pop!" If I took a picture of a flat, grey wall (such as the 18% grey wall I have in my office :) ) then tried my best to "make" it pop in post-production, there's a snowball's chance in hell that I would succeed. Based on the title, I had expected this article to be a refresher in a very specific element in composition and exposure. Instead, it was a hodgepodge of different styles of editing. This really belongs under the Post Production section; if I had read it there, I would have been much less critical. Photos that "pop" and have "vivid color" are 90% done right before you depress the shutter release. I look at PP software the same as I look at the darkroom. It is (practically) a necessary step/tool that we must learn and use correctly to "create" our art of photography. Although I am not a user of RAW, I'm basically lazy and use my point-n-shoot camera two ways: 1) for various projects that I put time & effort into and 2) just to point and shoot things. Lately I have been doing a lot of "burst" shooting, taking 3 or 4 shoot at a time. But the one thing that comes to mind after reading everyone's input on this subject is that there is a piece of editing software out there for whatever you want your photos to look like once you take a picture that is basically in focus and under the right lighting conditions. I say this after discovering Topza Labs plug-in bundles for Photoshop & Elements. You want your photos to POP! Take a look at Topaz Adjust 4 - advertised as "Use the quickest and easiest way to turn a decent photo into a great one, or a great photo into a stunner." I downloaded the free 30 day trial and yes it did make some of my better photos POP! So where there's a will there's a way. No matter how expensive your camera is - if you're just an average amatuer photographer you can get better photos but you have to begin with the basics and pay for that additional oomph if you really want it. Check it out and see for yourself. I completey agree with a number of the posts above, especially ejg. Look at the great photos from the days before Photoshop (other image editing tools are available :-). Yes, they could burn / dodge and do a few nifty tricks in the darkroom, but if the original photo wasn't great there wasn't much that they could do. I personally feel that too many people always post-process, or at least rely on post-processing to make a photo stand out. Take your time, think of the light (especially the golden hours), and really consider how your photo is going to look. We're so lucky that we can now have instantaneous results, so that we can tweak settings on the job. Also, don't forget that light in different places around the world will give very different images. Take a photo in london, even on a nice and sunny day, and I can guarantee that a similar photo in Sydney on a sunny day will look more vivid. As mentioned by other posters, your lens and filters will have an impact on how the colours of the photo. Anyway, these are all my opinions - I think that there is definitely a place for post-processing, but I am disappointed that you are advising beginners to not worry about the original photo, but just post process. One thing to remember is that equipment helps on the "pop" factor. Canon L series lenses are so much sharper than kit lenses, that the rest is easier. I have been making do with lesser lenses for the few months that I have been at it and using gimp to help clean up and help my images. Recently I got to borrow an EF 70-200mm f/4L USM for a few hours and BAM what a difference. It was night and day! And I had great images straight out of the camera! I now want to throw rocks at my Sigma and Tamron lenses, but must wait for cash since I am disabled. I will still go out and shoot to work on my technique, but I will also know that when I get the better lenses LIFE WILL BE GOOD!!!! I think it definitely has more to do with the subject and a lot less to do with editing. As a personal example-- many of my most vivid shots came from a recent trip to India, a place teeming with bright colors and good natural light. I did not shoot in RAW, nor did I do much processing, because I simply didn't need to. Shortly after my India trip, my sister (who's been doing photography for longer and has better photoshop skills) went to Paris during a gray winter week. The color in most of her pictures looks flat, and there's not a whole lot she can do to make it more naturally vibrant, because it was never that colorful to begin with. This article was not what I was expecting from its title. When I read "vivid shots that pop" I am expecting to see photographs with great color that almost look 3D. So if not using photos like that as examples, then defining what pop and vivid means for the purpose of this article should be done in the first paragraph. Also, putting beginner and RAW in the same article does not seem very realistic to me. I would have taken the approach of advising the beginner to shoot in the best light, put your back to the sun, and try using an application like Nik Software's Color Efex Pro 3 which can make color pop with just a single click of a filter (like the polar filter, or tonal contrast filter). For making colours pop I find, when you have plenty of light ,using a polarising filter on camera really makes a difference. The image may sometimes look a bit dark when first transferred to a computer but a tweak of levels will really 'pop' the colours. It's quite a kick to see the image come to life! I agree with terryd. Post production is a great 'tool' but real photographers can't rely on that. Part of being a photographer is 'seeing' what's there and not what we can make it look. Think of the early shots great photographers. They didn't have PS to run to. They relied on their eye and their equipment. And they didn't even get to see their end results until they went home and developed the film! I always see those early photos of Time and Rolling Stones magazine. A lot of those were instantaneous. I'm sure there were editing later on but give some credit to the photographer's talented eye. Also, learn GIMP and UFRaw if you're into open source software. Darktable also looks to be a promising piece of software for editing RAW files. There's a danger here that disturbs me. I completely agree with all of the points made about using RAW and so forth, but as I read the answer, it seemed to me to be saying that what's important is post-production. I don't agree. Post production is important, critically so. It doesn't matter whether you're in the darkroom or using a computer, top notch images rely on doing post production well. BUT ... if you want images that pop, you need to pay as much attention to taking the picture as you do to making it later. Sometimes you get an opportunity like the cat, but even for grab shots, the old saying "Chance favors the prepared mind" applies. You can't take random shots to get images that pop. Some can always be made to pop, but if you really want them, you have to SEE the potential and capture it. If you were to get 1-in-1000 randomly ( not a real number, I don't know what the real number would be ), you could improve that to maybe 1-in-10 or better when you learn to see and capture the images well. RAW gives you the most opportunity for post-production, but I've seen images that pop taken with point-and-shoot cameras in jpg format. It's the seeing and taking that makes possible what you do later. Couldn't agree more with the last line " you don"t take pictures, you make them"
However, that being said, as mentioned in the first point taking care with your composition and the story you are trying to tell, I believe, are the foundations to making a great image. I have to agree with Matt here. I recently bought a Nikon S640 for it's really fast (compared to other point-and-shoot). So, I was sitting at the dinning table, taking test shots of whatever in front of me, and was disappointed looking at the pictures on my laptop. My D40 must do way better than that, so I pulled the D40, take pictures of the exact same scene. Turned out that except the noise level (D40's ISO 1600 is still better than the S640's ISO 200), all pictures are the same from D40 and S640. I compared to my other favorite shots, and realized that those are photos that have significant importance associated with them (a special event, a family member, a friend, a beautiful flower). Those photos have "soul", and that's what make them vivid. For those photos that have no story behind them, such as a flower, or a cat, I just realize that I only take photo of them because they catch my eye first, because I realize the beauty and try to capture it. 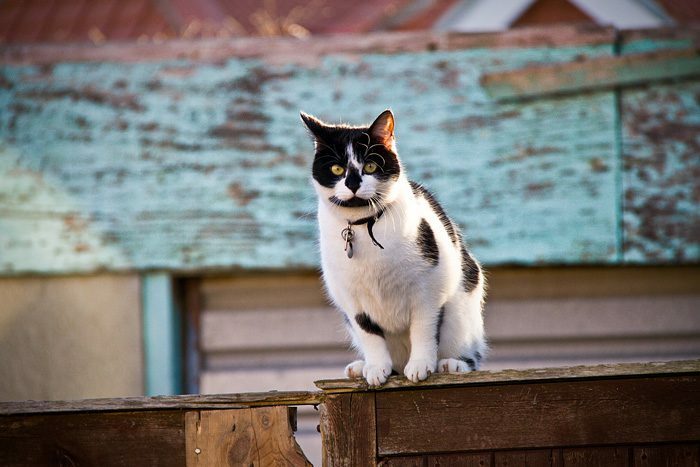 You can't just point to any cat, and shoot, and edit in Lightroom, and make it a vivid shot that pops. On the technical side, I set my camera profile to Vivid, and most of the photos came out look vivid too. Also, I rather spend time finding and shooting interesting things out there, instead of pouring too much editing time into a photo that might or might not be of importance to anyone. There is a similar story in the software you use too. GIMP is not anywhere near the level of Photoshop yet, but it's Free software (free as in speech). It shows the spirit of collaboration and sharing, the care for its users. So, I use GIMP because of that spirit, just like I like photos because of the story and meaning behind them. I tend to agree with Matt. I'd rather spend my time taking good photos than having post processing in the back of my mind (and a big necessity) with every picture I take. Second point is that I don't agree that you need to shoot in RAW to get terrific photos. Many great pictures -I'm willing to bet most- would never see the light of day if RAW were the only way. If the initial photo is done right you don't need RAW. And RAW will not make a bad photo good. Just my humble opinion, but RAW is overrated for the average hobby photographer. If you enjoy sitting at your computer, go ahead. If you enjoy photography, think before you shoot. I believe the megical moment happen right in front of the camera and should not be post-processed too much. anyway, photoshop ITSELF is an art, photography is an different things. so, it depends on which one you choose. I'm new to photography and am SO happy to have read this post. I've been admiring fellow photographers' images on Flickr, many of whom use the same camera and lenses as I use, and wondering why oh why do my photos so often look flat, and simply do not have the pop that their photos have? I was almost starting to wonder if my camera/lenses were defective! Recently started shooting in raw and playing with post-processing, which before I thought was "cheating" -- I thought images were supposed to just pop SOOC -- and am quite enjoying the results, though much yet still to learn. IMHO I think that, if you want to take photos that are vivid, colorful and pop, you need to shot things that are vivid, colorful and pop. If you want colorful images, take pictures of colorful things! Quick fyi, one of your links is broken "blog for photographers" goes to "https://digital-photography-school.com/www.elizabethhalford.com" as opposed to just the later. Thread with care though, especially the last step can easily make your images seem fake and ... edited. It's a bit like makeup: good makeup makes you look pretty, too much makeup just tells people you used makeup. It is so important to shoot in raw as you have all of the information there. If you shoot in Jpg and start boosting colours, images will not maintain well. It is important to remember that when you shoot in raw, many of the custom settings that you apply in camera will not come through, but you can apply it yourself in lightroom or camera raw. But as another commenter pointed out, number 1 is the most important. I taught a workshop a while back with middle high students, we all took a picture of an electrical plug and, they were amazed at the totally different ways that the plug could be captured. I think #1 is the most important step here. I am always evaluating my own photos, and others photos to determine is the subject interesting, is the angle interesting, and whether or not the background adds or detracts from the picture. Man beginning photographers take pictures take pictures from straight on at standing height with the subject in the very center of the screen. This rarely, if ever makes for an interesting shots. Start with the rule of thirds, usually with your subject looking into the scene, or the activity extending into the scene and then shoot it from a whole bunch of different angles. I can't stress enough how important it is to evaluate other photographers images for what you like and don't like, it will change how you photograph.